“This article goes over the design of firmware for a custom PCB project: a precision inclinometer subsystem. I recently designed a custom PCB with a muRata SCA103T-D04 inclinometer IC. My goal was to build a subsystem with truly ridiculous precision, able to accurately sense down to a thousandth of a degree of incline. 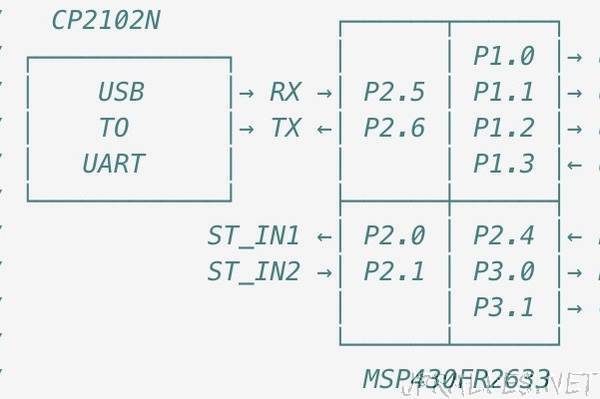 This article will cover some highlights of how I designed the firmware for the board’s MSP430 microcontroller to gather and process data from the IC. It is difficult to create any electronic circuit these days without having to do some amount of programming. Unfortunately, the knowledge you gain learning to create firmware for one manufacturer isn’t necessarily applicable to another. For this reason, it is usually a good idea to purchase an evaluation board so you can learn to program your microcontroller on a board that is sure to be functional before you tear your hair out with your own design. It’s also a good idea to familiarize yourself with the resources the manufacturer has made available to you—forums, datasheets, user guides, videos, etc. In this case, I used the MSP430FR2633 so I practiced on the MSP CapTIvate MCU dev kit and turned to TI’s E2E community for advice.